Will Alibaba raise its IPO price? The demand for Alibaba IPO shares is going wild! So wild that they have decided to raise its IPO price range from $66 to $68. Alibaba is a step closer to its IPO as much as $21,8 billion. Yahoo! Inc and other backers plan to offer as much as 320,1 million shares. Alibaba`s Jack Ma have been on a roadshow, and told the investors that they will not seek too high a valuation, and they are offering the shares at a price-to-earnings multiple that`s below what other public traded Chinese Internet peers fetch. Alibaba`s market value could be as high as $167,6 billion. China`s biggest search engine trades about 34 times estimates of this year`s earning. Tencent Holdings Ltd trades at 37 times, while Amazon trades to 133 times forecast 2014 earnings. The average for similar Chinese Internet e-commerce companies trade at 43 times their earnings. Alibaba will try to be a global company and plans to expand its business in U.S and Europe in addition to Asia. Ma said they will try to avoid a repeat of Alibaba.com`s failure which plummeted below its IPO price right after listing and ended up delisting the company in 2012. Jack Ma listed the company at the peak of the Hang Seng in 2007 and delisted it at the bottom during the financial crises in 2008. The S&P traded at about 30 times earnings in 2000, but now it is trading at 18. The Alibaba IPO in 2007 was 257 times oversubscribed and we won`t see that kind again. Jack Ma and Alibaba has been on the road for two weeks trying to meet investors and speak with them. They said they plan to set a final price for the shares on Sept 18. Trading start the day after, on friday 19. Nasdaq rose to its highest since March 2000 this month. Is this the right timing for Alibaba? I have been dealing with Alibaba for many years now, but for many other people, Alibaba is an unknown company. Alibaba is the unmatched e-commerce market leader in China. It holds about 95% of China`s C2C market (Taobao division) and more than 50% of the B2C market (Tmall division). 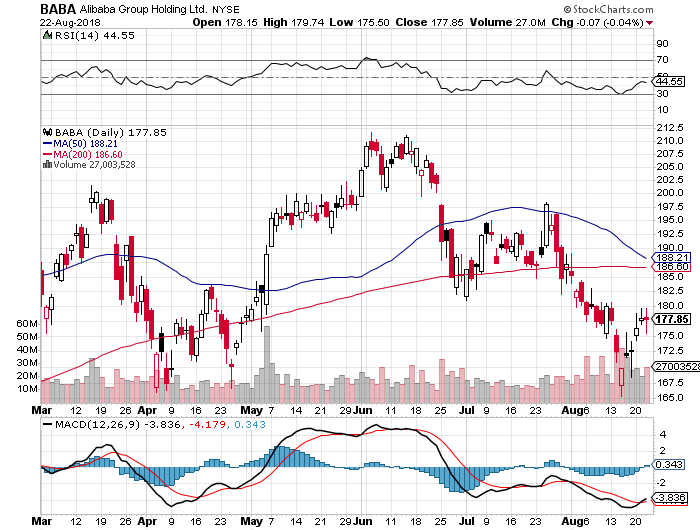 Alibaba is set to trade under the new ticker symbol on NYSE; BABA, on friday, September 19th. I think that many will be shocked by Alibaba`s entrence in the West, because only a few investors have heard of the company. Alibaba`s business is more profitable than Amazon and eBay put together, and the U.S`s dominance in the e-commerce sector is poised to fall with the air apparent to Amazon set to IPO. Alibaba`s IPO may herald the end of U.S E-commerce dominance. When Alibaba enters the market in the West, the competition will increase and standardize prices around the world, which means Apple Inc can`t sell their iPhone 6 for one price in Europe and another in the U.S.
Ebay didn`t have chance to compete with Alibaba, so the decided to stop their business in China. Jack Ma said it was primarily because they wasn`t effective enough and couldn`t deliver so fast as Alibaba does. Jack Ma is a great business man. In a letter to his shareholders he said in it, this single sentence about Alibaba`s culture, may revolutionize the way other companies do business. «I have said on numerous occasions that we will put customers first, employees second, and shareholders third». Don`t forget those words by William Feater: The primary asset of any business is its organization, but as you already know; the customer is the God. Without any customers, you are completely dead. So, what will happen to Amazon and eBay`s customers is the big question now. Price and service are key factors now. For every dollar in sales, Alibaba makes $0,43 in gross profit. In contrast, Amazon only manage to squeeze just $0,01 gross profit for every dollar in sales. Operating income in the three months ended June, was 42% more than the combined profit of Amazon and eBay for the same period. Many people talk about bubbles, but this is not like what we saw in the dot-com boom in the late 90`s. Take a look at these Chinese companies which is not revenue-starved; Alibaba founded in 1999, Q2 2014: $2,54 billion in revenue. Up 46% Y/Y. Valuation; $155 billion. Tencent founded in 1998, Q2 2014; $3,21 billion in revenue. Up 37% Y/Y, and last but not least; Baidu which is founded in 2000. Q2 2014: $1,93 billion in revenue. Up 58,8% Y/Y. This the best tech companies in China and all those three founders are the three richest in China, with Jack Ma on the top. Ebay is out of the market in China along with Google, which was very profitable for Baidu. Of course the Chinese government is supporting their own companies, so it is not easy for the companies in the West to penetrate the Asian markets. It`s hard to say how well Baidu would be doing if Google hadn`t pulled out of China in 2010. A report from China Internet Network Information Center said in June that China had 632 million Internet users and 527 million mobile Internet users. This is about the numbers of China`s middle class. It is expected that this number of middle class in China will grow by 500 million over the next decade, and reach a whopping three billion by 2030, which mean a huge market for many start-ups in the west, but the big question is the Chinese government. They have a habit of favoring state-owned or state-connected companies. An Internet startup with total potential revenues of $10 million in the U.S might achieve revenues of ten times more in Asia. It can be lucrative to expand in Asia, but sometimes not so easy. WhatsApp is popular in Hong Kong, but WeChat dominates in China. Kakao Talk is the big thing in Korea, while the most popular chat app in Japan is Line. As you may know; Asia is not only China. What might work in China can be a flop in Korea, Japan, Singapore or Hong Kong. Alibaba will change the Chinese corporate giant`s diverse range of business lines, from e-commerce marketplaces to logistics to financial services. A overseas IPO could prompt the firm to reassess its strategy for these business categories as well as the countries where it operates. The West are protecting their companies just like the Chinese government. It was not so easy for Baidu, VIPShop or Youku Tudou in the overseas markets like the U.S, as they all are focused on the Chinese market. But Baidu is a search engine, while Alibaba is something different. Peope want to buy things cheap and Alibaba can fix that. 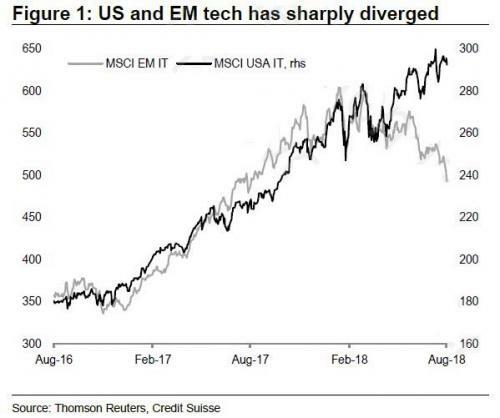 As Jack Ma said; «China is the main course, while developed markets like the U.S are merely dessert». China`s largest listed internet company Tencent posted its slowest quarterly profit growth in two years. They have spent a lot of money to promote its mobile messaging app called WeChat and other e-commerce sites in competition with Alibaba Group. Marketing expenses is up 39% from the third quarter. Tencent is a third owned by South African e-commerce and media company Naspers and they plan a 5 for 1 split share on the company. This will take place from May 15. Tencent`s share price has more than doubled in the past years and their market cap is $138,7 billion. Tencent gave an indication of WeChat revenue figures for the first time as it transforms from a massaging service to fully fledged mobile platform. WeChat is more than a chat platform. It`s everything from social networking and gaming to personal finance and booking taxis. WeChat Q4 revenues is between 200-300 mln yuan ($32 – 49 million). Tencent`s President Martin Lau said last week that the WeChat and Mobile QQ together generated gaming sales of more than 600 million yuan in three months to Dec 31. The groups revenue is 16,97 billion yuan in total revenue for the quarter. Line Corp from Japan is another competitor and they announced 2013 revenues of 34,3 billion yen ($338,38 million), making it last year`s top-earning non-gaming smart phone app. WeChat is worth about $64 billion. The multiple uses of this app called WeChat offer far greater earnings potential than Facebook`s WhatsApp, which is «worth» $19 billion. 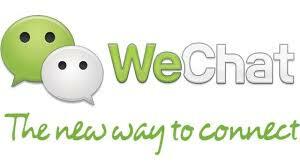 70% of the WeChat`s revenue comes from gaming and subscriptions and online ad sales rose 58% to RMB 1,5B. E-commerce transaction revenue nearly doubled to RMB 3,3B. Tencent is fighting against the e-commerce giant Alibaba in mobile-based retail services and both groups recently announced plans to launch virtual credit cards using QR codes that function in a similar way to bar codes scanned by smartphones to process payments. Those two groups has attacked China`s traditional banking sector and the central bank is considering regulations to limit the use of third-party payment systems offered by Tencent and Alibaba Group. Tencent`s mobile massaging platform is dominant in China (totaled 355M, +6% Q/Q and 12% Y/Y. ). globally MAU`s for WeChat rose 5,7% in the fourth quarter to 355 million with a net income of 3,91 billion yuan ($631M) on revenues. Up 40% at 16,97 billion yuan ($2,74B). WeChat`s MAU is nearly 3 times that of Sina`s Weibo, and 24% smaller than WhatsApp`s 465M (as of February). MAU`s for Qzone social networking platform rose 4% Y/Y to 625M. Instant messaging MAU`s rose only 1% to 808M. A month after Facebook spent $19B on WhatsApp, Alibaba (ABABA) is investing $215M into messaging/VoIP app Tango at a $1,1B valuation. Tango and BBM are close to each other in scale. WhatsApp claims a market-leading MAU of 465M. Tango claims 70M. BlackBerry`s John Sims disclosed BBM`s base had grown to 85M MAU`s since the launch last fall. The Tango deal is only one of many investments made by Alibaba which is trying to grow their Web/mobile empire. To compare: Renren (RENN) is declining and is headed for a fall of 40 – 45% drop. Online game revenue fell 39,6% in Q4 to $15,6M after dropping 17% in Q3. Ad revenue pressured by share losses to social media rivals such as Tencent and Sina, fell 17,9% to $10,2M after falling 11% in Q3. Monthly unique logins fell to 45M in December from 50M in September. Sina surges on Weibo IPO news and Alibaba is spending $805M to buy a 60% stake in ChinaVision Media. A Hong Kong based producer of films and TV dramas. Youku (YOKU) remains the market`s biggest player on the fragmented online/mobile video market. Strong competition is provided by Baidu, Sohu and Tencent. Alibaba, Baidu and Tencent have been constantly finding ways to encroach on each others turf. Tencent bought a 15% stake in #2 Chinese e-commerce firm JD.com. What a battle! Yelp has been a hot stock and some investors say these stocks are «momentum monsters», and now you have the chance to get into a new IPO of the Facebooks game developer called Candy Crush. Wall Street is planning on selling 22 million shares. A valuation of $7,6 billion! Candy Crush made $159 million in 2013! Wow!